One of the greatest days of the year, Opening Day, is this week! If you're like us, the start of baseball season is pretty much a Holiday...or it should be! The Cardinals have the roster set and perhaps have thrown in a few surprises. Bengie, Jim and Nate discuss the 25 man opening roster for the Redbirds. What about Harrison Bader? Voit? Kelly? Did the Cardinals make the right decisions. All this, plus Bengie recounts some of his days getting sent back down to the minors. This week's prizes are listed below. Enjoy! What does a player have to do to make the team? Mr. Flaherty has been quite impressive in Spring Training, but he'll most likely start the season in Triple A. There are two sides to this coin. The organization and the player. Remember, baseball is first and foremost a business whether you like it or not. How will the Cardinals stack up the last 10 days of Spring Training as the 2018 Campaign Is In View? Bengie gives us a former player perspective on all this as well as the fellas from Two Birds On A Bat: Jim Cromer and Steve Flowers. Plus, Rally Squirrel's Nate McHenry reveals the winner of the Dexter Fowler Autographed Baseball Bat! We've got some seriously awesome prizes this week. Enjoy! Are you kidding me Lance Lynn! This is a funky off season and free agents like former Cardinals pitcher Lance Lynn are taking deals like $12M for one year. Remember when the qualifying offer was $17M Mr. Lynn. Should Lance Lynn fire his agent? What is going on?! Bengie gives some insightful perspectives from both a players perspective and a management mindset. Jim, Nate and Bengie play a round of Over/Under on a few of the Cardinals stars from a fan question during our Ask Bengie segment. All of this plus our double up prize giveaways. We're just about one week into Spring Training. The Cardinals are holding firm on the roster even though some BIG free agent names, mostly pitchers, are still available. 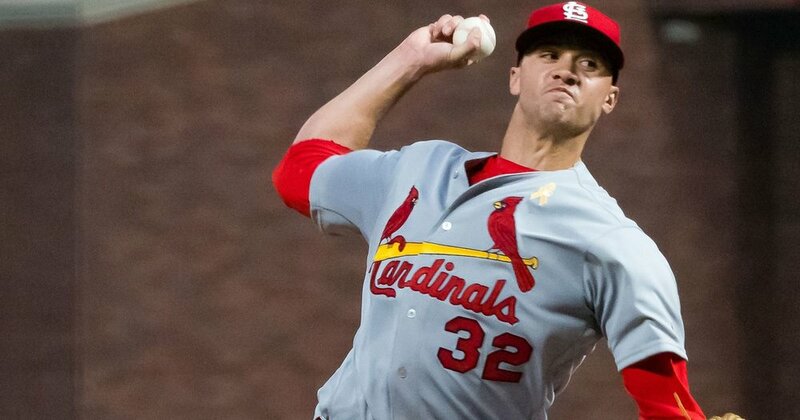 Can we trust the starting rotation and bullpen of the St Louis Cardinals? Does the performance of Waino have the potential to shake up the whole bullpen. The Redbirds are going to take flight and Bengie, Jim, Steve and Nate talk about the nitty gritty on what needs to happen for this to be a successful campaign. Plus, Bengie answers some fan questions and our weekly prize winners are listed. Enjoy! There will be baseball this week! Well, pitchers and catchers are reporting alongside the Cardinals trucks carrying 18 tons of goods. Bengie and Nate talk about what it's like getting ready for the next seven weeks, are the Cardinals done in free agency, and what we're really excited about headed into the spring. The optimism reset button is upon us all as fans of the Cardinals. Plus, Bengie answers fan questions and our weekly prize giveaways. With Nate on a family vacation Jim and Bengie Molina take you on a trip through Bengie's career and his own experience dealing with a tough offseason from a players point of view. As players and agents are claiming collusion we look at reality vs. opinion. Plus, our weekly prize giveaways are listed below. o claim your prize please email support@rallysquirrel.com with your full name, address and prize won within 30 days. Prizes will be mailed in approximately 15-20 business days after confirmation. We're only a few short weeks away from the Pitchers and Catcher playing catch in Jupiter. Bengie Molina tells us how he would handle our up and coming star, Alex Reyes, coming off of injury. What is best for the Redbirds and for the career of Reyes. AND...what about the Brew Crew? Have they truly made themselves better with their recent additions in free agency? Bengie also answers a bunch of fan questions in our weekly "Ask Bengie" segment. Plus, find all the weekly winners below. Enjoy! Cardinals fans, Spring Training is in view and players are making preparations for a successful season. Bengie shares his personal experience and insight on what is going on in the minds of players as they prepare for spring training. What is the Physical, Mental, and Emotional preparation it takes to be ready for Big League Baseball? What is you're a free agent and you're not signed yet? Also, our fan winner Stacy, joins us on the call and asks Bengie some great questions. Plus, our weekly prize winners are listed below. To claim your prize please email support@rallysquirrel.com with your full name and address. Prizes will be mailed in approximately 15-20 business days. Happy New Year Cardinals Nation. A new year and a new hope in the St Louis Cardinals 2018 campaign. It's pretty quite around baseball. The Cardinals are quite too, but that doesn't mean we won't see some more big offseason splashes in the near future. Today, we tackle the role of social media in it's surprisingly important role in the lives of both players and fans. Hear some cool stories about the history of the Rally Squirrel and our guests from Toast Dispatch. Plus, Bengie answers some fan questions and our weekly prize giveaways are listed below. Go Birds! Superstar!! Smash Mouth's "All Star" is reverberating through my head as Bengie, Jim, Steve and Nate tackle the value, necessity....and entitlement of having a Super Star on the Cardinals roster. Do we need to have it? Join us on this fascinating round table of who, what , when, where, and why the Cardinals cannot be done making moves. Plus, Bengie answers the fans question in this week's installment of Ask Bengie. Your fan prizes are listed below. Merry Christmas and Happy New Year Cardinals Nation (we will be back in 2018*). Enjoy! *The Next Rally Squirrel Report will be on January 8, 2018. Stanton is a Yankee and the Cardinals have not provided any fireworks yet. But, should they be doing something big right now? We talk with Bengie and discuss the next steps for the Birds on the Bat. Bullpen vs Bats? Plus, Bengie provides a wonderful update from Puerto Rico and the excellent work of Yadier and Bengie and their family. Wow. Plus, we welcome in Chris Lollis from Cardinals Nation 24/7. Join us on this special episode as we go around the horn discussing the Cardinals possibilities during the winter meetings. We have a couple incredible prizes this week too and a special Christmas gift opportunity for you from Dugoutmugs.com. Go to dugoutmugs.com and use discount code: RALLY10 for a big savings and delivery before Christmas. Sweet! There are always fish in the sea...right? As a player, how does emotion play into a major decision to sign a huge contract? We're still waiting to see if Mr. Stanton will say YES to Cardinals Nation. Does Bengie Molina think that the Cardinals should make sure that Stanton is a Cardinal. One thing is certain, the Redbirds have the money if they want to get it done. Is the pride of Cardinals history enough to persuade Staton to sign the dotted line in St Louis? It's getting super interesting in the Stanton sweepstakes. Come on over Mr. Stanton. Plus, this week's RS Club prizes and more. Enjoy! Stacy Shonkwiler: Live Call In "Ask Bengie" on our weekly podcast. Let the dominoes begin to fall. Are the Rumors about to become reality? The offseason really begins when the winter GM meetings happen. There is something about Face to Face interaction. Bengie breaks down what it means for Agents, GM's and Players to get real during the winter meetings. What will the Cardinals do and how will all the chips fall ? Join us on this special insider edition. Enjoy! o claim your prize please email support@rallysquirrel.com with your full name and address. Prizes will be mailed in approximately 10-15 business days. No Trade Clause? Opt Out Options? Player's advantage and they retain all the smiles. Today's MLB contracts have some confusing concepts and loopholes. What does it all mean during the offseason as the Cardinals look to land a "Big Fish" or several complimentary pieces to get us back to October Baseball? Bengie, Jim and Nate break it down and offer some unique perspectives from both a former player, coach and from the fan side. Plus, Bengie answers a question about MLB replay in our ASK Bengie segment. Plus, fan prizes are below like we announce every week. Enjoy! Free Agency Anyone? You want real, honest, nothing held back stories from Bengie that will give you a real taste of what it's like to be a free agent as a player? Bengie goes unfiltered in an incredible tale of his personal experience as a player. A huge thank you to Bengie Molina for his vulnerability. Plus, Jim and Nate talk about free agency for the Cardinals and what will make the difference to get the Cardinals back to October baseball. All that and the weekly prize winners listed below. Enjoy! In the 1985 World Series, the longest game was 2 Hours and 59 minutes. Last night, the World Series game between the Dodgers and Astros exceeded 5 hours! In Game six, Cardinals starting pitcher Danny Cox threw 7 shutout innings. He was a bulldog on and off the mound. He shares a phenomenal postseason story when he asked Whitey Herzog if he could "take care of business." Join us for a super fun interview with Danny. Plus, we answer your fan questions and announce the weekly prize winners. Enjoy! The Cardinals need a pitching coach. With Dave Duncan's success, establishing a standard in Cardinals baseball, the pitching coach is an important position in the organization. What does the pitching coach do anyway? Bengie Molina brings some great insight to the role of the pitching coach and why he matters if we want to win games. Could Bengie Molina be the next Cardinals pitching coach? Bengie also answers fans questions in the Ask Bengie segment. Plus, this week's prizes including a Dave Duncan 2011 Autographed World Series Baseball! Enjoy. When you're a hometown kid, the dream of playing with the big boys usually remains a dream. For former Cardinal Kyle McCllelan, the dream became a reality. Kyle joins the show today sharing his dreams fulfilled on the field and now what he is doing through his foundation work to make the dreams of others come true. Bengie, Nate, Jim, and Steve break down some of the MLB playoffs including the Dodgers walk-off against John Lackey. A guy that is easy to love to hate or is it just that he is now a Cub. Enjoy! The Cardinals season is officially over. It's a weird October 2nd Monday feeling knowing our Redbirds will not be playing October baseball. So, it's time to look toward the offseason. What must the Cardinals do to not have this feeling again next season. We are joined by Coach Darin Hendrickson from Saint Louis University, who by the way, has been a Batting Practice Thrower for the Cardinals for 21 seasons! He has some incredible stories from getting to throw BP to the American League at the All-Star game to the World Series. He's experienced it all. Incredible. We also announce this week's WINNERS in our FanCaveSport Prize Giveaways. Enjoy. Leave a comment below letting us know what you think!